Expand your wardrobe for way less with Roots Canada‘s amazing clearance. Shop online today and save an EXTRA 20% off Many Sale Styles. Discount applies automatically at checkout. This is in addition to the 30% to 60% off promo! 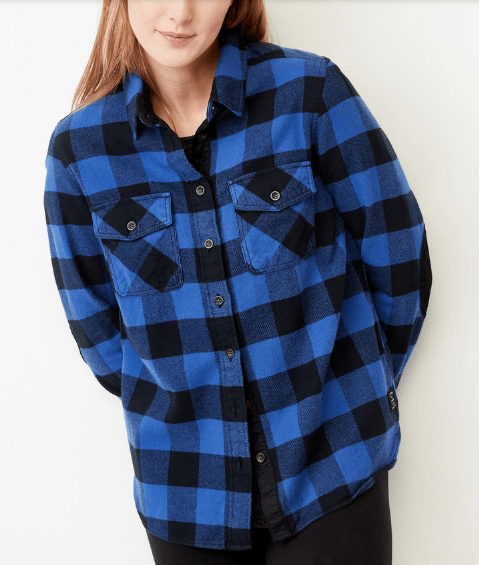 This Women’s Park Plaid Shirt is on sale for $39.98 (originally $88) as part of the 30% to 60% off deal, but when you bring it to checkout for an extra 20% off, you get it for only $31.98! You save $56.02! Made with Roots’ signature cotton flannel, this Park Plaid Shirt is just at home at the cabin as it is in the city and features corduroy elbow patches. With a heavily brushed finish, it feels soft but wears tough for durable comfort.